Most memorable experience: Ha! I don’t want to choose just one. Living in a remodeled airplane hanger as a sports and activities director at a youth camp. Driving a semi-truck across 48 states and Canada with my boyfriend was pretty memorable. I’ve been everywhere man. Learning to play roller derby with the Marietta Derby Darlins. Jumping off a boat with a strange dude at a lake, swimming to shore, downing a fireball shot, then dancing at a tiki bar… to be continued. If my life ever stops being a memorable experience, remind me that I’m not doing it right. Why Roller Derby? 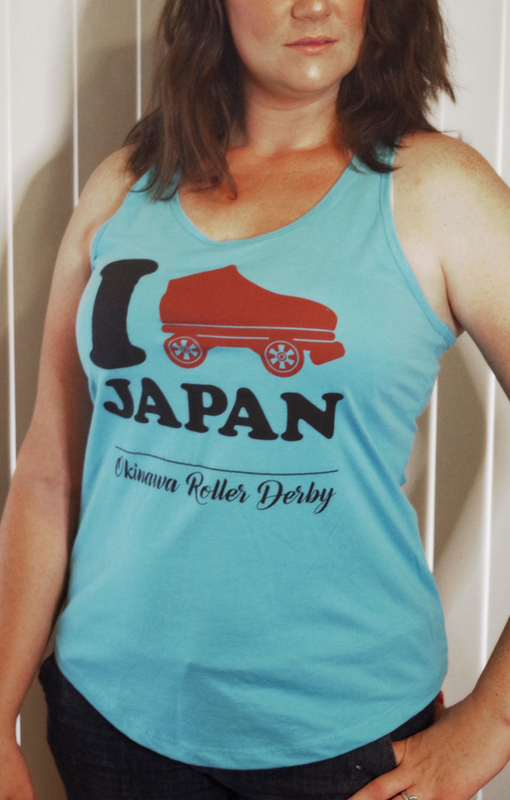 Because why not derby?! Because derby has been my anchor through some of the most turbulent times in my life. Because sometimes I’m antisocial and stressed and they let me come skate, look pissed or sad, and it’s cool and I feel better after practice. I feel like I accomplished something good. I did something positive. It is a full body and mental workout (balance, coordination, aerobic, muscle building, teamwork, and strategy). Because they accept people from all walks of life, in all shapes, ages, and sizes. Since I began skating with this team I’ve thought a lot about what makes a person want to do roller derby. At first glance it seems people do it for a variety of typical reasons. Maybe they’re aiming for their 15mins of fame? Maybe they want to be part of a team, a sense of belonging? Maybe it’s the exercise, to relieve stress, or meet new people? Maybe they’re just really bored with the normalcy of mundane life? Advice for new skaters: Get Low. Don’t quit. Look stupid. Have fun. Get up fast. If you’re not bleeding, torn, or broken, keep skating. Go to practice! Skate outside of practice. Run a mile. Try vitamin C for faster healing and Glucosamine & Chondroitin for joint health. Get K-tape! Use K-tape! Ice it! Try compression tights. Purchase the absolute best knee pads you can afford (plus knee gaskets) before you spend money on new skates, because you’re going to fall a lot. Go to Powerhouse Skates and try on the pads and skates. Get a SISU mouth guard, then take time to mold it properly (it takes a bit of work to get it right). Lower your toe stops. Get a lock washer for them if you don’t have good plates yet. As soon as you can afford it, replace your wheels and bushings if you have cheap skates. It’s okay to have cheap skates! Wear ankle eZee Fits to prevent ankle blisters. Use athletic tape to prevent toe blisters. Don’t wear cotton socks. Try two sets of thin socks to prevent blisters. Try two sets of laces on each skate (one set at the bottom, one set at the top) if you can’t seem to get the right fit with your skates.